I want to follow my most recent post on the IMF's, less than encouraging, assessment of the Bolivian economy in 2018, which warned about the twin deficits problem the country has been experiencing, with another post taking a more detailed look at the country's trade sector. The expectation on the country's economic performance is ambiguous at best. Not only because the optimal level of natural gas international prices for the country has not been reached, but because the unsettling trends the IMF's report mentions have been continuing their downward path. Many questions arise of course out of this situation. The most pressing ones are: 1) how did Bolivia get in this situation? 2) what is to come? However, this post leaves the most pressing question aside for a moment to address the question as to how does the trade deficit look like and why does it look the way it does. The aim is to give a clearer picture about what types of products Bolivia sells and what products it buys and to shed light on the country's trade partners. 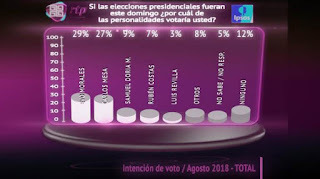 The data used in this post is from the Bolivian Institute for Foreign Trade (Instituto Boliviano de Comercio Exterior or IBCE), which regularly publishes in the form of simplified graphs the raw data produced by the Bolivian Statistical Institute (Instituto Nacional de Estadistica or INE). To start of, the data shows a deficit for the years 2017 and 2018 of 970 and 936 millions of USD, respectively. Many observers and experts have been mainly explaining this negative trend, a trend manifesting itself since 2014 or 2015, through the highs and lows in the international natural resources prices, especially that of oil and particularly natural gas, of which the Bolivian economy is highly dependent. That is of course, a simplistic, yet mostly accurate explanation, if we take into account of the fact that the export of natural gas accounts for around 34% of the total export value. The picture becomes even more illustrative if we take into account the export of minerals (another type of natural resources or commodities). The latter account for around 29% of total export value. In essence, if we add the two major Bolivian export products, we arrive at a significant 63% of total export value. That would mean that 63% of the total value Bolivia exports is generated by the selling of natural gas and minerals. Furthermore, an interesting detail that further points to the commodities price fluctuation explanation is the following. If we consider the data for the two years in question, 2017 and 2018, it shows a marginal increase in exports from 8.3 to 9.0 bn. USD, and for imports, from 9.3 to 9.99 bn. USD. While this parallel increase in the volume of imports and exports might suggest improvement in economic conditions, i.e. that Bolivia is selling and buying more, the real reason behind it is the recent improvement in the international prices of minerals and natural gas. The rise in value from one year to the other and the, at the same time, persistent trade deficit condition underline the economy's dependency on natural gas and therefore, on its international price. IBCE's data presents a list of countries with which Bolivia exchanges goods. That gives us a good idea with which countries Bolivia engages in trade and what type of goods is the country buying. Of all the countries conducting business with Bolivia, Brazil and Argentina remain the most important. The simple explanation for this is the fact that the two countries buy Bolivian gas. At the same time, a further look at the list reveals the importance of Asian countries, and in particular of China. For 2017 and 2018, the most important countries buying Bolivian goods include Brazil, Argentina and India, which together represent a significant portion of total buys, above 40%. Brazil and Argentina buy primarily natural gas, followed by gasoline and alcohol but also silver, aluminum, and derivatives of sodium, antimon, barium, as well as Brazil nuts, beans, mais, oregano, bananas, heart of palm, pineapple, and wood. India, instead, having only recently become a relevant partner, mainly has bought gold. The types of exports reveal that aside from the importance of the hydrocarbons and mining sectors, the agricultural sector contributes significantly to the economy. In addition to exporting natural resources and agricultural products, Bolivia tries to export value-added products, such as packaged foods, processed derivative oil and gas products. The list of countries from which Bolivia has bought more goods include China, Brazil and Argentina. These countries account approximately for almost 50% of the total bought goods. According to the data provided by IBCE, China sells machinery, buses, motorcycles, tires, trucks, pesticides, mobile telephones, cars, and other communication gadgets. Brazil and Argentina, in turn, sell Bolivia diesel, iron, machinery, buses, cars, shoes, plastic products, flour, malt, barley, fish and canned food. Other significant partners are: The US, which buys tin, silver, gold, jewelry, precious stones, Brazil nuts, quinoa, some petroleum-based oils, and sells perforation machinery, turbines, lubricants, diesel, cars, small airplanes, and machine parts; and South Korea, which buys zinc, silver, copper, plumb, aluminum, wood, coffee and Brazil nuts. From the import side, we learn that while Brazil and Argentina remain the two most important trading partners, China has become even more relevant that the traditional partner, the US. From China, Bolivia buys capital goods, electronics and other products for the agriculture sector. A bit further down the list is South Korea, which buys mainly minerals and Brazil nuts. From this data we see that Bolivia is still depending on the export of natural gas and minerals. However, we can also see the increase in importance of the agricultural sector and lagging behind the productive sector, exporting value-added products. 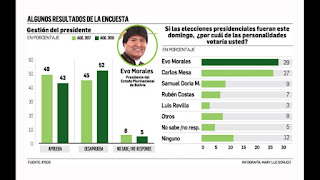 President Morales renewed his cabinet to face head on the general elections approaching in december. 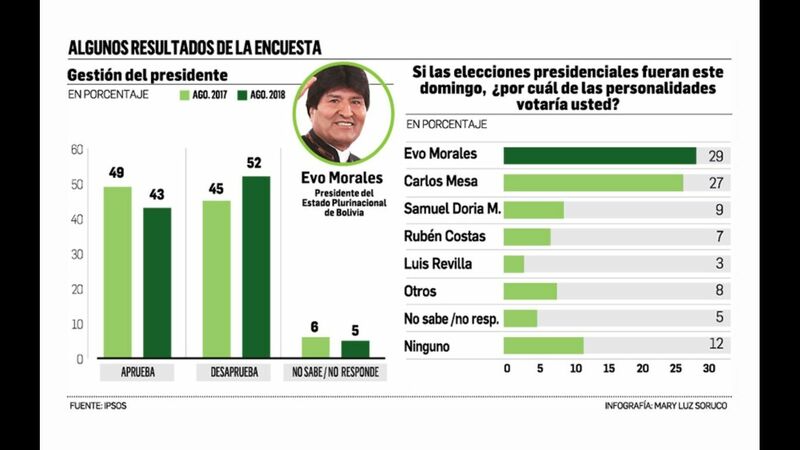 Morales confirmed 13 ministers and changed 7. The ceremony took place in the Casa Grande del Pueblo, in La Paz. The new ministers are Juan Ramón Quintana, Minister of the Presidency; Luis Arce, Minister of Economy and Public Finance; Nélida Sinfuentes, Minister of Productive Development and Plural Economy; Óscar Coca, Minister of Public Works, Services and Housing; Miltón Gómez, Minister of Labor, Employment and Social Security; Gabriela Montaño, Minister of Health; and Manuel Canelas, Minister of Communication. He ratified Diego Pary, Minister of Foreign Affairs; Carlos Romero, Minister of Government; Javier Zavaleta, Minister of Defense; Luis Alberto Sánchez, Minister of Hydrocarbons; Mariana Prado, Minister of Development Planning; Rafael Alarcón, Minister of Energy; César Navarro, Minister of Mining and Metallurgy; Héctor Arce, Minister of Justice and Transparency; Carlos Ortuño, Minister of Environment and Water; Roberto Aguilar, Minister of Education; César Cocarico, Minister of Rural Development and Land; Wilma Alanoca, minister of Cultures; and Tito Montaño, Minister of Sports. Quintana, Arce and Coca return to the Cabinet. Here we are, beginning a new year, just about 1/5 of the new century, and I think is a good time to take a look at Bolivia's economic performance. The simple reason being the golden years the commodity boom seemed to bring Bolivia is just about over. At least, that is what experts are saying. We have now, actually since mid-2018, entered a rather volatile period in the global economy when several fundamental conditions have ceased to be constant. Actually, there are many who argue the global economy is headed towards a recession, one which no one is able to predict how deep will it go. Many experts cite as factors for the recession the Brexit and its effects on the EU, the trade war between the US and China, the several armed conflicts going on, the new ones rising in the horizon (Turkey, Kurds and Russia), once again deteriorating relationship between the US and North Korea, the political uncertainty in Latin America, and slowing consumption around the world. In such an economic environment, countries like Bolivia, dependent on the export of a natural resource, but in the process of making substantial investments in their economies, have uncertain futures. That is what the IMF has been saying about Bolivia as a result of monitoring the economy as part of its article IV consultations with the Bolivian government. Basically, IMF experts highlight the better than average economic performance of around 4. something percent per year over the last decade and the fact that the country practically halved its poverty rate, in the same period. The same experts also like to point out that the Bolivian government has been addressing health and education in a positive manner and that its economic policies have been, until now, rather reasonable in order to stimulate growth. However, the praise stops there and the warnings begin. The IMF experts, who visit Bolivia for some time and talk not only with government officials, but also with industry and business people and academia to and, in the end, write an extensive report, warn that if Bolivia does not make changes to its policies to address the twin deficits problem as well as the increasing debt and the crowding-out of the private economy, the country will in a couple of years encounter economic problems. The experts point to the negative trend of the fiscal and trade deficits, which if they are not addressed, can inflict much distress in the economy. Added to that, they argue, if the country keeps on stimulating the economy from the demand side by keeping up the rate of investment in the economy, the level of debt is bound to reach counterproductive levels for the economy. Particularly worrisome is the level of capital goods imports and central bank credits to many state owned enterprises. In similar terms, the experts highlight the central role the government wants to play in the economy, which tends to crowd out private investment in the economy. The conclusions drawn in the report are not so stimulating. 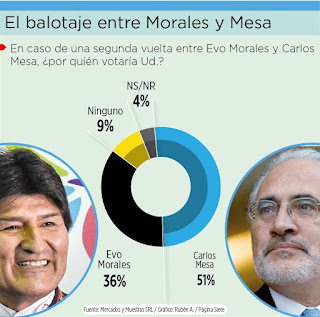 Above all, rises increased levels of economic uncertainty in an uncertain global economic environment and the level of political uncertainty resulting from not knowing whether Mr. Morales will run for re-election in 2019 or will indeed be forced to abstain giving someone else a chance. The latest IMF report can be found in the IMF's Bolivia page. 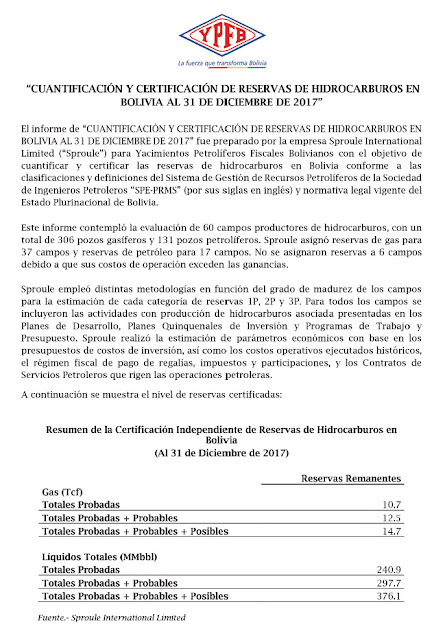 This is a document in Spanish, published on the YPFB website, showing Bolivia's hydrocarbon minerals certification. The document is in Spanish and is here to document the process of certification of said minerals. The important thing is to note the document certifies (the certification was done by an independent firm) that Bolivia has proved a total of 10.7 tcf of natural gas, and a grand total of 14.7 tcf of proved, probable, and posible reserves. The document also shows a total of 240.9 mmbbl, and a grand total of 376.1 mmbbl of oil or petroleum. I place the document here to keep a copy of such report available for those who are interested. I know the Bolivian government does have a transparency policy and a law providing for the free access to information. Clicking on the image will pull a larger image. I also encourage those who speak Spanish to visit YPFB's website. PS. If I have time I will translate the text. But do not wait for it. Bolivia has been charging tourists fees for entry and exit in to the country. Many tourists do not know they pay such fees because often such charges are hidden in the ticket prices. Bolivia is not alone charging such tourism fees in the region. Bolivia charges tourists a 327 Bs fee per person when they leave the country by air. That is equivalent to around 47,40 US$, at current exchange rates. The fee is called Tax on Departures to the Exterior (ISAE, Impuesto a Salidas al Exterior) and was created by article 106 of Law 843. 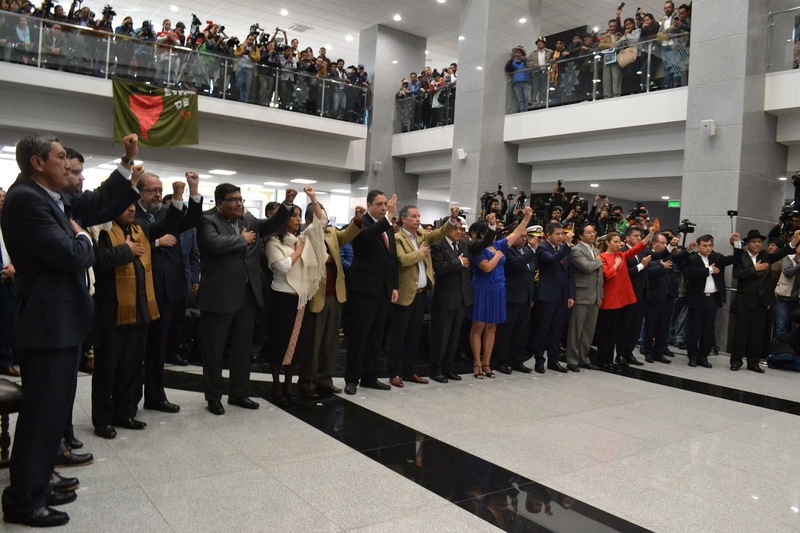 The fee is applicable to any country departure by air, of natural persons residing in or visiting Bolivia, with the exception of government officials, diplomats and their families and members of sport delegations that fulfill activities in official representation of the country. It is stipulated that the charge be included in the price of a ticket. In 2013, the ISAE was valued at 266 Bolivianos; in 2014, at 281 Bolivianos; in 2015, at 296 Bolivianos, and in 2016, at 314 Bolivianos, according to the Bolivian tax authority (Servicio de Impuestos Nacionales), SIN data. The revenues are supposed to go to the implementation of plans, programs and projects to promote Bolivian tourism. The fee has been deemed by the national airline association (Asociacion de Aaerolineas, ALA), as one of the highest in the region and one which discourages travel to the country. ALA's general manager, Yanela Zárate, highlights the disadvantages by quoting the fees in other neighboring countries. She argues that the same charge in other countries does not exceed 35 US$. For example, in Peru it is 30.25 dollars, in Colombia 33 dollars if the stay is short and if it lasts for more than two months the rate reaches 66 dollars. In Venezuela it reaches 44 dollars. She also illustrates: "For example, a family of four who travels abroad ends up paying almost $ 200 and if a traveler must leave several times, he must pay the tax on each trip". Finally, she added the fee goes directly to the coffers of the General Treasury of the State and does not generate any return for tourism. Since February 2017, Bolivia has been charging an entry fee of 100 bolivianos (about 14,50 US$ at today's rate) to tourists who enter Bolivian territory by air. The payment of 30 bolivianos (4 dollars) to tourists who arrive by land has been deferred, for operational reasons, until 2019, according to the provisions of the new norm and Deputy Minister of Tourism, Joaquín Rojas. The Law for the Creation of the Fund for Promotion, Promotion and Facilitation of Tourism and Special Contribution will allow financing "the elaboration and implementation of plans, programs and / or projects to promote Bolivia" abroad, he points out. The tax to tourists arriving by air will be included in the plane ticket, said Rodas, adding that "we have given two years to implement (the charge) in the income by land." Diplomats and staff of foreign organizations, airline crews and children under two years of age are exempt from this payment. The Government estimates that around 20 million bolivianos per year will be raised, which will be included in the Fund for the Promotion and Promotion of Tourism (FONTUR). The purpose is to finance the development and implementation of tourism plans, programs and projects in the national territory. Official sources assured that the tax will not affect the tourist flow and that the amount is low, compared to that imposed by countries such as Peru or Colombia. This is a collection of election polls published on newspapers on the coming general elections in 2019. Newspaper: Los Tiempos, August 22, 2018. Newspaper: El Deber, August 23, 2018. Newspaper: Pagina Siete, December 2, 2018, at 2.11 pm. Newspaper: Pagina Siete, December 2, 2018, at 2.08 pm. The decision on the lawsuit Bolivia started against Chile at the Hague, in order to oblige the latter to conduct negotiations on a sovereign sea access, has been issued. At three pm, the judges made public their statement whereby they rejected all of Bolivia's arguments. In consequence, there is no obligation for Chile to negotiate as Bolivia has argued. Chile must perform the said obligation in good faith, promptly, formally, within a reasonable time and effectively, to grant Bolivia a fully sovereign access to the Pacific Ocean. The Republic of Chile respectfully requests the Court to dismiss all of theclaims of the Plurinational State of Bolivia. An earlier post of mine explains a bit more what was this dispute about. You will find this post here. This is a major blow for the Morales government, one which he took in person, because he was present during the reading of the verdict. It is a major blow because Morales in person raised the expectations on a positive outcome. He more or less promised Bolivians the verdict would be positive and Bolivia would get its sea access. The Bolivian agency in charge of controlling and administering the electricity sector AE has entered the e-government era. It published this website providing various services so users are able to do many things related to their electricity supply. To start of, they can find out where to go to complain or make use of services the company offers, such as making payments, establishing services, etc. Customers can follow up their complaints, and see in advance a schedule of oncoming reparations, outages, and so on. Finally, they can make use of a tool to calculate their monthly charges, as a way of controlling. This post was taken from the Total website here. It shortly mentions the various business interests Total has in Bolivia. I thank Total for letting me place this here and point to the original through the link above. Total announces today the final investment decision for a first development phase of the Incahuasi gas and condensate field in Bolivia, following the successful drilling results of the ICS-2 exploration well. Located on the Ipati Block 250 kilometers South West of Santa Cruz in the Andean foothills, the development, operated by Total, will involve 3 wells (one on the Aquio block and two on the Ipati block), a gas treatment plant with a capacity of 6.5 Mm3/d and associated export pipelines. First Gas, is expected in 2016, of which a large portion will be exported. The ICS-2 well, drilled to a depth of 5,636 m, is the second successful exploration well on the Ipati Block. The results of two recent tests on this well proved a hydrocarbon column of around 1,100 meters in the Devonian Huamampampa fractured sandstones reservoir. “The very positive results of the last well drilled on the Incahuasi field enabled us to launch a first development phase to help meet growing gas demand in the region,” said Ladislas Paszkiewicz, Total E&P Senior Vice President for the Americas. “We shall actively continue our exploration efforts in Bolivia to enable additional developments”. Total plans several more exploration and appraisal wells on the Ipati and Aquio blocks to prove the significant additional potential of the Incahuasi field. Total also plans to commence exploration activities on the neighboring Azero block following the recent signature of an agreement with national energy company YPFB and Gazprom. 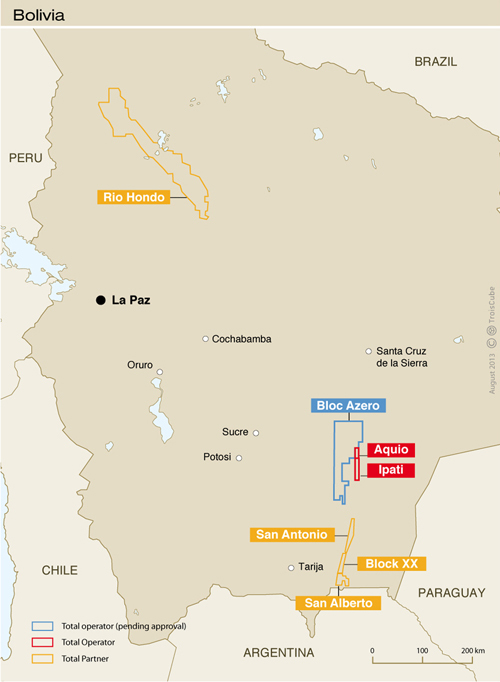 Present in Bolivia since 1996, TEPBo operates the Aquio and Ipati blocks with a 60% participating interest, in association with Tecpetrol de Bolivia (20%) and Gazprom (20%, pending final administrative approvals). TEPBo also owns a 15% participating interest in the San Alberto and San Antonio blocks which supply natural gas mainly to Brazil, as well as a 41% participating interest in the Itaú field, put on stream in 2011 to supply gas to Argentina. Total has been operating in Bolivia since 1995 in two main areas: Exploration and production and marketing and services (lubricants and special fluids). For more info visit Total's Bolivia website. The Bolivian Institute of Foreign Trade (IBCE, for its Spanish name) has published its assessment of Bolivia's trade statistics based on the National Statistical Institute's numbers. Here is a run down of the most important aspects of this report. The Export sector for Bolivia has experienced a turnaround in 2017. While for the period 2014-2016 Bolivian trade suffered a significant decline from 12.8 to 7.09 billion dollars, the estimated value for 2017 is expected to be an improvement to 7.8 billion dollars. The main explanation for this improvement (and for the previous decline) has not changed. The most important factor for such changes in the Bolivian case has been the economy’s dependence on the international oil price increase and decrease, which is coupled with the price of Bolivia’s most important export, natural gas. This dependence can be clearly seen when we take a look at the above images which show the most important export sectors and the share of exports by what Bolivians call traditional and non-traditional exports. Traditional products are considered to be commodities, such as natural gas and its derivatives, minerals and oil and non-traditional are other products, such as agricultural and manufactured products. Traditional exports represented the largest share of exports with 82.09% compared to the non-traditional exports which represented 17.91%. Of the share of traditional exports, natural gas and minerals represented a little over 62%. The rest of the products Bolivia exported in 2017 were: soy cake, soy oil (refined and unrefined), Brazil nuts, jewelry, quinoa, bananas, ethyl alcohol, chia and leather. If we look at a breakdown of exports per department, we find four departments, namely La Paz (14.74%), Santa Cruz (24.20%), Tarija (20.37) and Potosi (27.19%), which would represent the lion’s share of exports. Other departments, namely Beni (5.24%), Oruro (4.18%), Cochabamba (3.06%), Chuquisaca (0.69%) and Pando (0.33%) represent a small part of exports. However, this picture is somewhat distracting and hides some important considerations. The shares include the export of traditional products without which the shares of Tarija and Potosi would not be that large. In addition, because the share of natural gas exports has declined in the last years, it has signified an increase in the share of Potosi’s exports. At the same time, Cochabamba, even though it does not seem like from this image, is the third most important city in the country in terms of production of non-traditional products such as shoes, agricultural products, canned food, and chemical products. In terms of which countries are the most important buyers of Bolivian products, Brazil and Argentina hold the first and second places. Once again, the role of traditional products is important in this placing, because these two countries import natural gas from Bolivia and represent 34.11% of all the other importing countries. The image above shows that Bolivia does have a diverse commercial relationship with other countries. The list includes South Korea, the United States, Japan, India, China, Colombia, Peru, United Arab Emirates and other countries with minor interest such as Germany, France, Netherlands and the UK, for example. While most agricultural products tend to go to countries in the region, the US and some Asian countries tend to buy minerals, soy products and some other products. West European countries have concentrated on the purchase of quinoa and chia seeds. In terms of imports to Bolivia, the country has made up in 2017 the small decline in recent years. The country has been able to keep demand up and, as such, counterbalance the decline in world oil prices with a strong domestic demand. This has been possible due to the central role the government plays in the economy today. The government has been investing in the creation of many sorts of industrial ventures from computers to milk and thus giving impulses to the economy. At the same time, the construction sector has been one of the most dynamic sectors in the last decade. Bolivia has been demanding and importing capital and transport goods as well as their parts (39.93%), and other industrial machinery (29.75%). It has also imported consumer goods (13.10%), food and beverages (7.30%) as well as lubricants and gasoline (9.88%). The list of countries from which these products come include China, Brazil, Argentina, US, Peru, Chile, Japan, Mexico, Colombia, and Germany. It is important to highlight that China has become the most important country from which Bolivia buys products such as clothing, machinery, transport products and their parts, mobile phones, and some chemical products. The lion’s share of imports go to Santa Cruz (42.48%), which has become the most economically dynamic department in Bolivia. 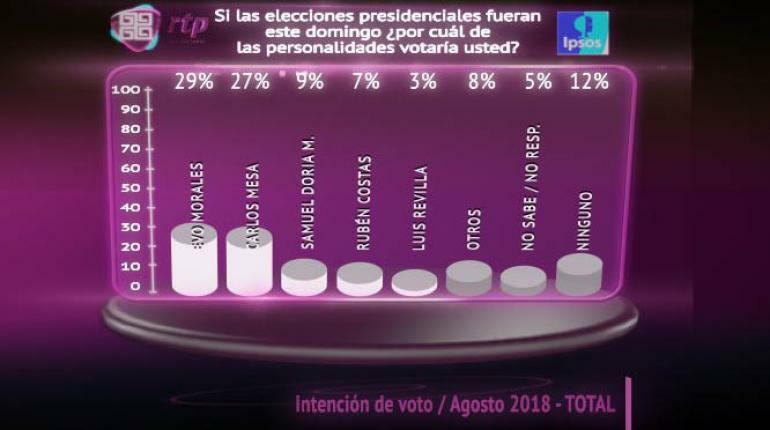 La Paz, which used to be in first place, comes now in second with 24.86% of share of imports, while Oruro (15.78%), Cochabamba (7.72%) and Tarija (6.28%) come in distant third. La Paz has been constructing a public transportation system based on cable cars and normal buses. It is precisely these types of products that the department has been importing. Through Oruro enter the country diesel and other types of refined gasoline and many transport products which are then distributed to other parts of the country. The department’s main economic activity is mining. Throughout the country the government has been constructing geothermal stations to produce electricity. For those types of investments the country has been importing transport goods, engines and metal parts. Lastly, but importantly, the country has also been importing flour, which shows the various price and production and export controls the government has been implementing to guarantee what it calls fair or solidarity prices of foods has not been working. One of the worst consequences of all these measures (principally of subsidies) has been the increase in contraband. Bolivia has run a trade deficit for 2017. On the one side, this is due to the less than optimal developments in the international prices for Bolivia's most important export product, natural gas. The country has experienced better times. On the other side, the country has been accumulating capital goods, which in terms of future economic development is not a bad investment. It will all depend on how are these goods being used. It will all depend on whether the government's plans of industrializing the country are realized or not.